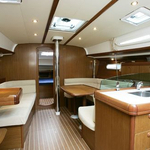 Anemoi is a name of boat Sun Odyssey 42i ,which was produced in 2009. 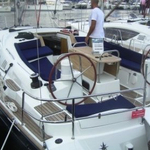 You can rent this boat from port Ibiza in the region close to Ibiza. 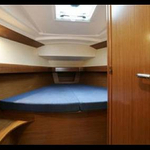 Anemoi is equipped with 8 beds. 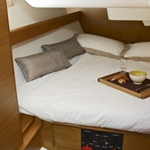 Beds on the sailing boat are configured in 8 scheme. 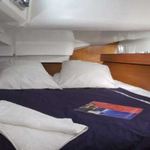 3 cabins are placed inside the vessel Anemoi. 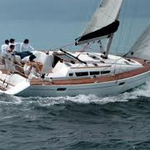 Use this site to find different boats right here: Yacht charter Ibiza. 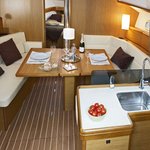 Passengers can feel good on this sailboat , because there are 2 WCs for their disposal. 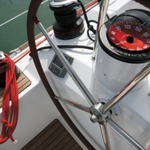 With 130.00 l l. in tank for fuel you can sail really far and still be independent because of 355.00 l liters in water container. Anemoi is powered by engine 54 hp. Vessel's dimensions are: LOA - 12.85 meters , beam - 4.13 m and 2.13 meters of draft. 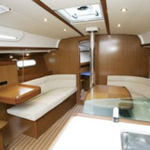 On the vessel there is following equipment: Bow thruster, Teak cockpit, TV, DVD player. . Caution is 2000.00 EUR. 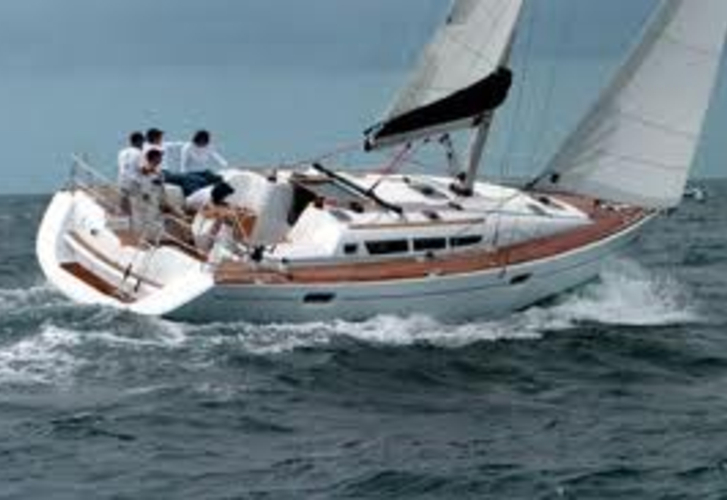 In our search engine you can effortlessly check avalailability of sailing boat Anemoi from Ibiza by going here: Yacht charter Balearics.